SPONSOR UNIT - NO BOARD APPROVAL!!! Every room in this wonderful, prewar apartment is filled with southern or eastern light, and the living room and bedrooms have lovely views of brownstone gardens. 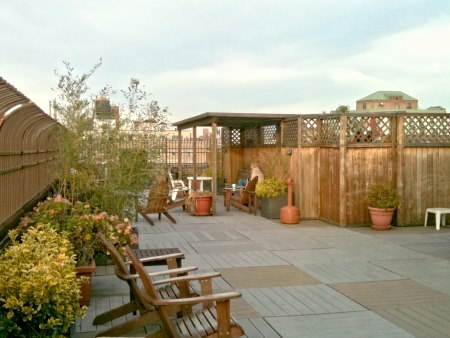 The apartment is located in the back of the building and provides its owners with a combination of quiet, privacy and light which is hard to find in New York City. The renovation features chefs kitchen, complete with honey maple cabinets, granite countertops and stainless steel appliances (including a washer/dryer unit). The corner master bedroom has a private bath and a walk-in closet. Please call for an appointment. This unit must be seen to be appreciated. This lovely prewar building is on a tree lined block and has an "old world" look to the lobby. It is an established cooperative of 35 units. The superintendent lives on the first floor. There are storage lockers and a bike storage in the basement.